Need a leopard print top hat, STAT? (Who doesn't?) I just dropped on off for sale at Mystery Mister. 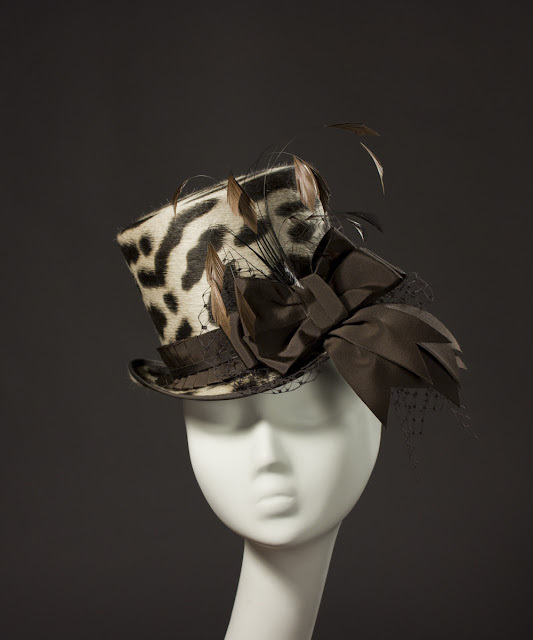 It's a 'Wellington' midi size top hat in chocolate brown and beige animal print, with brown trim and feathers.